Nothing shines like hand-wrought silver and gold. Designs from James Russell Goldsmiths are simple yet elegant, and well within your reach. The collection includes earrings, necklaces and pendants, bracelets and rings. The jeweler creates designs in his Rockport, Massachusetts shop. The quaint harbor town provides the perfect inspiration for the shiny accessories. While elegant, many of James Russell Goldsmiths' designs are perfect for accessorizing everyday wear, while others might be reserved for special occasions. James Russell Goldsmiths exhibits at many Sugarloaf Craft Festivals, where you can see — and purchase — their exquisite creations. 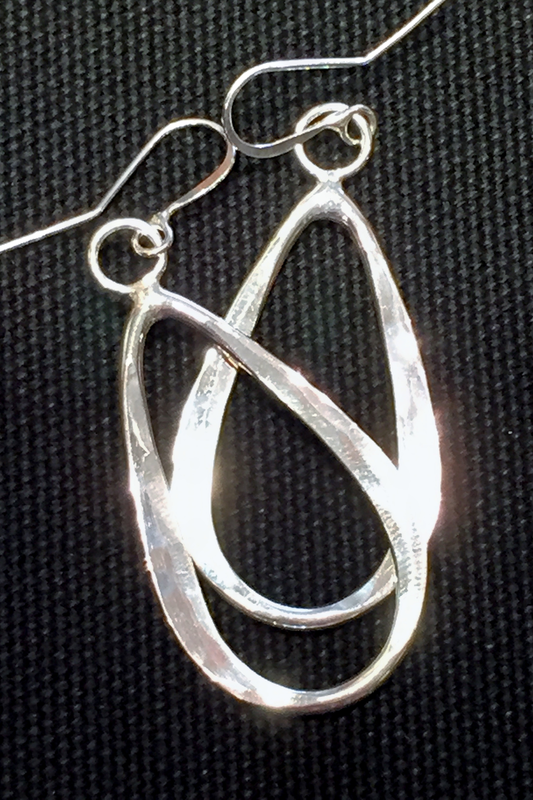 His designs fill up the booth, when is then filled up by admirers of simple silver loops and teardrop-shaped silver earrings and other bobbles to take home for oneself or to be used as gifts.